The excavation of the shipwreck "Belle" in Matagorda Bay produced an amazing array of finds, including the hull of the ship, bronze cannons, glass beads, bronze hawk bells, pottery and even one skeleton. All these provide a glimpse of the 17th-century in the New World. 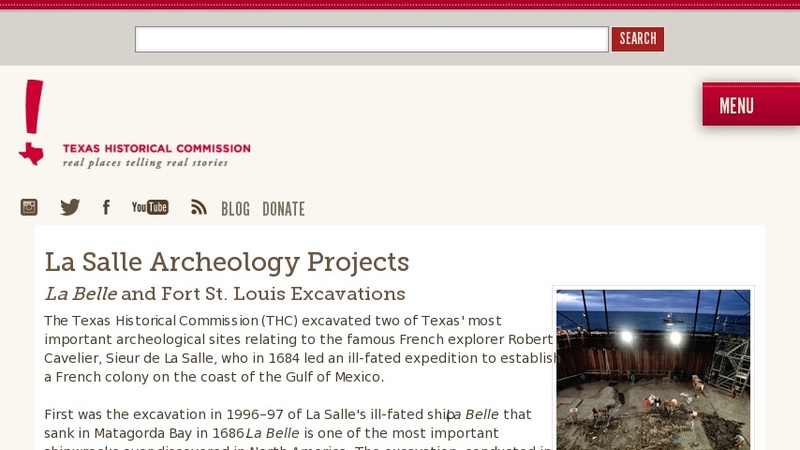 Resources for teachers include lesson plans, photos, time-line, bio on LaSalle, and a newsletter. Links to external sites also available.